INSIDE TM ® GOLDFISH › P.32 SPRING & SUMMER ISSUE 2017 INSIDE PURE BREEDS GETTING TO KNOW THEM OUR TEAMS & THEIR DOG GUIDES DEALING WITH HOT SPOTS INSIDE Your Pet.Your Life. Your Store. CANADA CELEBRATING 150 YEARS COUPONS INSIDE! 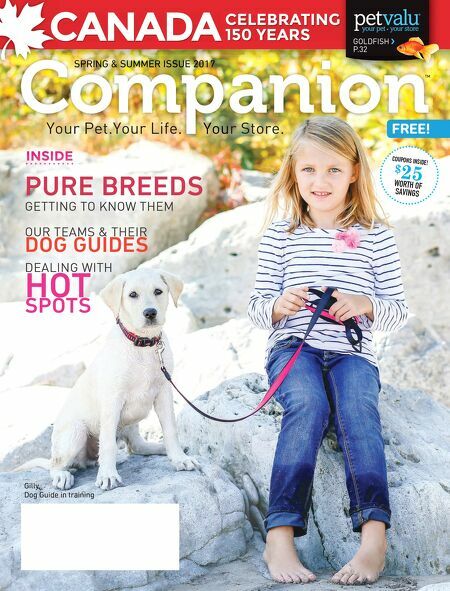 $ 25 WORTH OF SAVINGS TM SPRING & SUMMER ISSUE 2017 SPRING & SUMMER ISSUE 2017 Your Pet.Your Life. Your Store. Gilly, Dog Guide in training FREE!